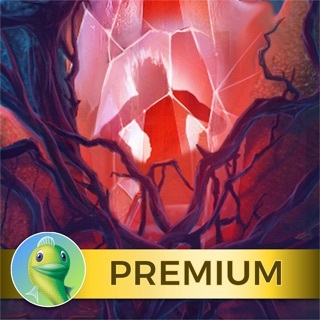 Save your beloved from a wicked curse in this enchanted Hidden Object game! Sybil received a special wedding gift from a stranger, but this portrait of her is more than just a work of art. The image in the painting starts transforming into a beast, and Sybil starts changing with it! These two newlyweds are in for a wild ride as they team up to break this curse before the monster within takes over entirely. Who put this hex on your happy marriage, and how can you reverse it? Your only hope of finding out is to work together! Loved this game! The characters and their acting were outstanding, really fitting right along with the storyline. Gameplay was Very smooth. Enjoyed every aspect of the game! Lot's of hidden object scenes, from word lists to some locating of shapes. Also incorporated was interactive scenes, which is a huge plus for me. The puzzles were fun and you had a choice to play either easy or hard. (Nice Touch) Collectibles were scattered throughout the game, along with some morphing objects. I really was impressed with this game and well put together, logically and otherwise. Highly recommend buying this one! It's Very Enjoyable and yet Adventurous as well. Also nice length to this one - so more entertainment for your buck. Thank you Big Fish & Developer - Let's keep these games coming! I really enjoyed this one. A creative touch is that you actually play two characters, switching between them, at different points, when action is required. There was enough back and forth looking for objects to make it fun but not get extremely confusing. The graphics are lovely. Another terrific touch is that for each mini game you can choose easy or hard. I found easy, hard enough! If I have one complaint it is that far too many of the mini games included pieces which you move with levers or buttons or however~ where moving one moves three others, etc. I happen to be unable to do that kind, so I was happy for the skip buttons. I have not yet played the bonus game. I really enjoyed this game. I had no issues or glitches, but I did read some people had issues, but it worked perfectly for me. I love this series, I find it to be the most fun having to work together. It makes the game more interesting. I know Big fish has others out there in this series that you can play on the PC. I wish they would soon have a special that has all of the games released for the IPad that you can download for a limited time. I really enjoy games without all the guts and gore. I work a very stressful job, so these games are a way to unwind and relax before bed. So keep up the good work Big Fish and make all of us who love this series happy. Release all of these games Please.